Bridging the gap between pallet racks and simple shelving storage systems, bulk storage racks are designed specifically for heavy bulk items. 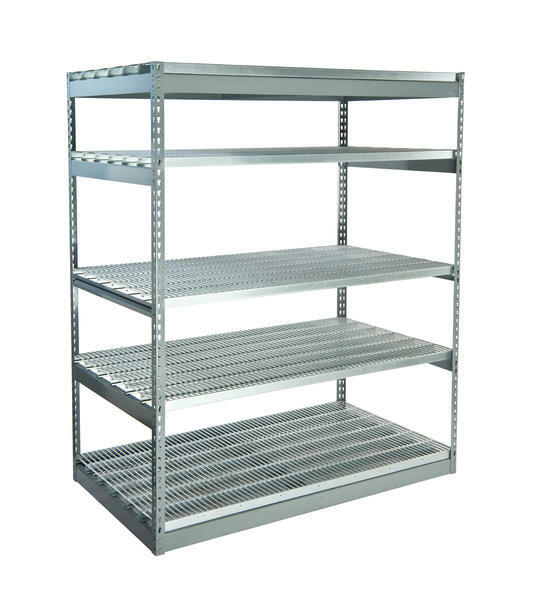 Bulk racks are ideal for storing bulky items, cartons, supplies, tools, and more. Bulk rack systems come in a variety of sizes and capacities and can be adjusted to fit a wide range of applications. Bulk racks can accommodate different types of decking, which may include wood, steel and wire decks. We carry a large supply of both new and used bulk rack equipment. Call (866) 266-2244 today and one of our storage specialists can help you design a bulk storage rack system that’s right for your business!